Vin Diesel best movies. See the list! Vin Diesel is a Hollywood celebrity, popular actor, film director and producer. His real name is Mark Sinclair. He was born in a poor family. Mark has a twin brother Pol, who unlike his well known brother didn’t follow his steps. Unfortunately Vin didn’t know his father, who left them in childhood. His stepfather was a teacher of acting and this fact influenced character formation of a small boy. 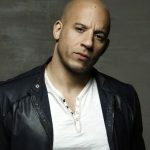 Thanks to him Vin Diesel decided to dedicate his life to the career of an actor. Almost till the age of seventeen he treaded the boards and took part in a great number of performances. But when he reached lawful age he understood that this profession will not bring him financial stability. His first roles were secondary and some of them even were not included into captions. Nevertheless Vin Diesel managed to become one of the most famous and highly-paid actors in Hollywood. He had a great number of girlfriends but now he is married. Vin Diesel wife is Paloma Jimenez and now they have three children. 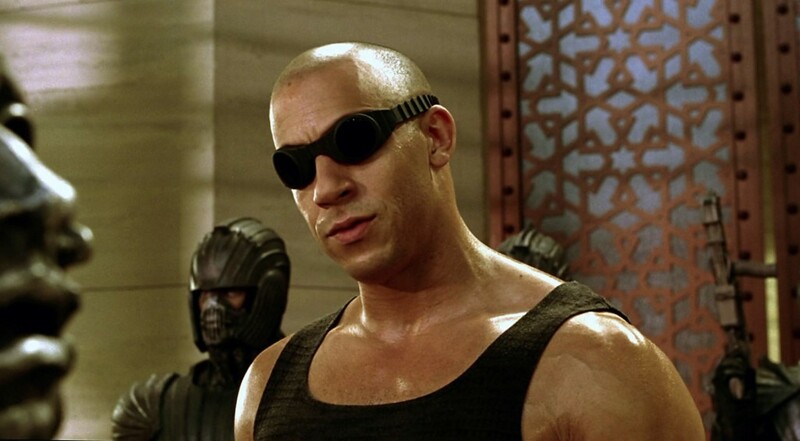 Some films with Vin Diesel in the lead role were included into the history of world cinematography. 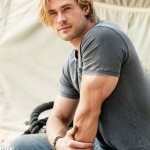 In this article we are to discuss some most prominent roles of this actor. The first role that made him famous was offered by Steven Spielberg. 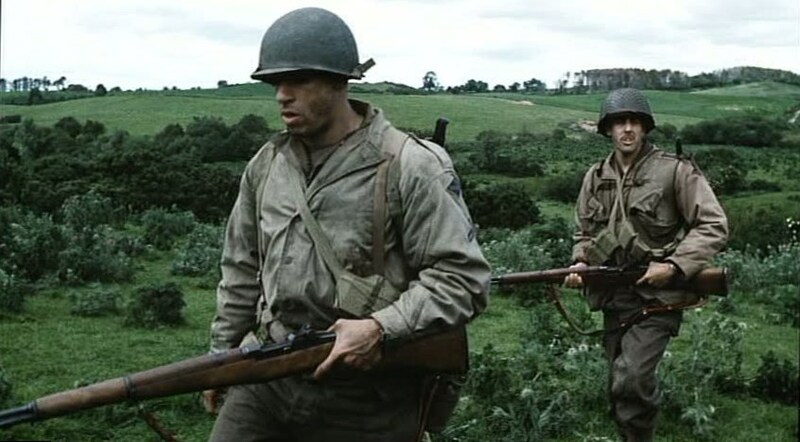 It was a small role in Saving Private Ryan. 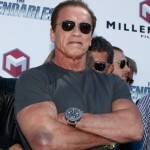 The actor was offered a role of American gunslinger. 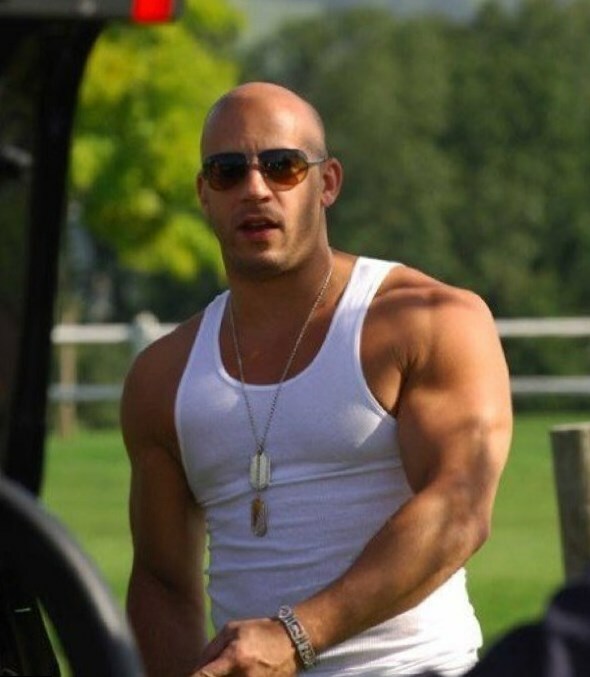 Vin Diesel height and type of figure perfectly suited the roles of strong and brave men. Later Diesel confessed that during shooting he felt like a real soldier. 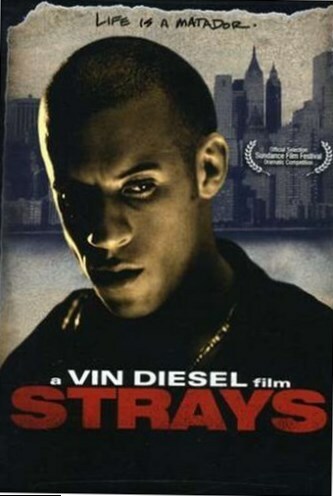 The next film is Strays. 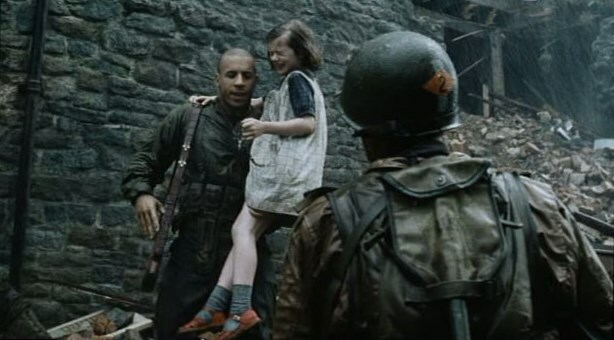 This movie was the actor’s debut. He was the film director and the main actor at the same time. This is a drama about gangleader who fell in love and decided to change his way of life. In 1997 it was even chosen for competition at the Sundance Festival. 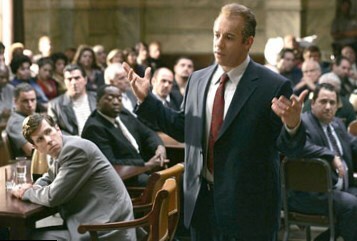 In 2006 Vin Diesel was offered a role of a real mobster Jack DiNorscio in the drama Find Me Guilty. Before he was offered this role Vin felt that it was high time to change something in his career. This role was what he needed. Absolutely different typecasting and finally, the audience saw Diesel with hair on his head and in the other role specialization. The Fast and the Furious is surely one of the best films with Vin Diesel. Hardly there is a person who didn’t watch it and the majority of his admirers knew him only thanks to this film. It is an American franchise which consists of a series of action films. This franchise can boast the box office in $3.891 billion. 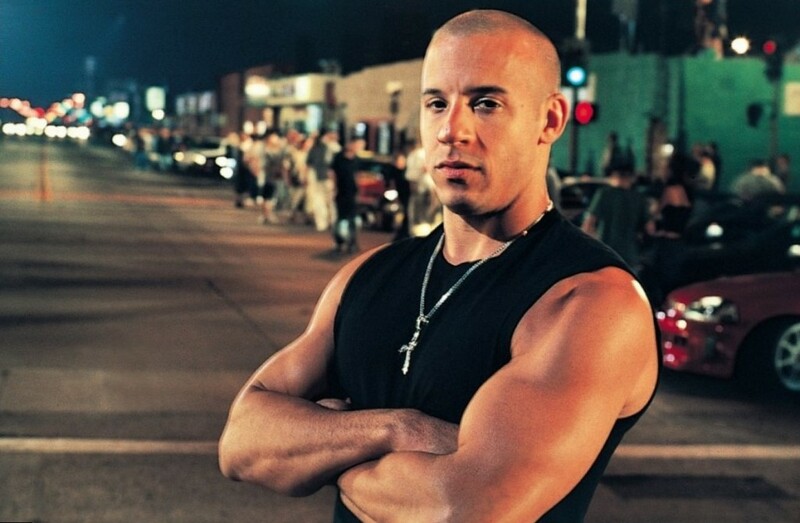 Vin Diesel was offered a role of Dominic Toretto who was ex-convict and liked street racing. The actor describes his character as a careful friend and in every series he tries to show his various positive aspects. 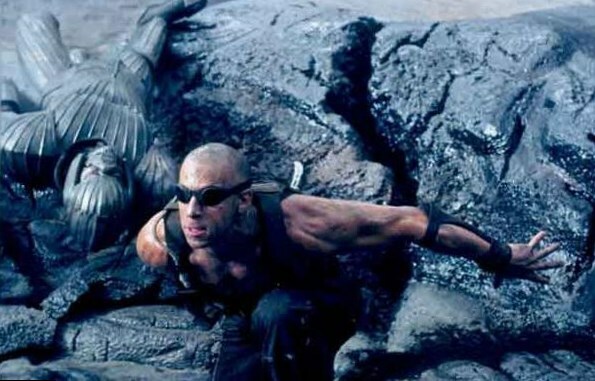 The Chronicles of Riddick: Dark Fury is another blockbuster and another success in his career. This film was released in 2000 and no one could even think that this low cost film would become extremely popular. His role in this fantastic saga about cruel gunplays in future was negative. 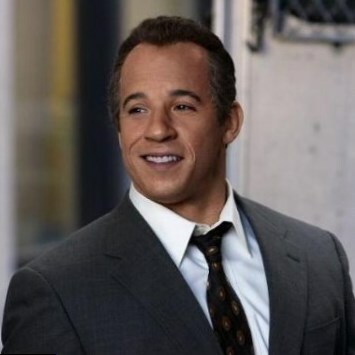 He played cynical killer and this role blazed a trail to Hollywood for Vin Diesel.